Zeyu Xu is a managing researcher at AIR and an affiliated researcher of CALDER. He is an expert in teacher labor market research, and has extensive experience in analyzing state longitudinal administrative data, including data from Florida, North Carolina, Indiana, Michigan, and Kentucky. His research on teacher effectiveness distribution, teacher performance growth, alternative routes to teaching, and the selection and development of teachers for high-need schools has been published as book chapters and in peer-reviewed journals such as the Journal of Urban Economics, the Journal of Policy Analysis and Management, Education Economics, and Educational Evaluation and Policy Analysis. Dr. Xu has also authored two research papers on design parameters for clustered randomization studies (CRTs), one published in Educational Evaluation and Policy Analysis (Zhu, Jacob, Bloom, & Xu, 2012) and the other cited in the 2014 special issue of Evaluation Review as one of the 10 main studies of design parameters for CRTs in Education (Spybrook, 2014). In addition to these recent research focuses, Dr. Xu has worked on a wide range of topics, including school choice, workplace training, and intra-household bargaining. 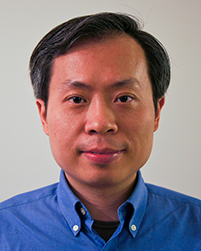 Dr. Xu has been the principal investigator or co-principal investigator on research projects funded by the IES, the W. T. Grant Foundation, the Woodrow Wilson Foundation, and the Gates Foundation.